Livia Drusilla was a woman of renowned beauty in her day. Livia was the daughter of a nobleman named Marcus Livius Drusus Claudius. She was at first married to Tiberius Claudius Nero who supported the assassins of Julius Caesar. Augustus apparently compelled her husband to divorce her and she was immediately married to Augustus in January of 38 BC before her second son Drusus was even born. 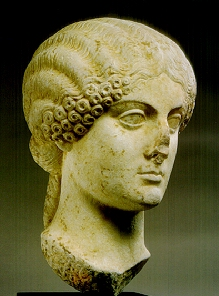 Livia had two children from her first marriage, Tiberius and Nero Claudius Drusus. She never bore any children with Augustus. According to Tacitus, Livia won a reputation for generosity, and encouraged Augustus to show clemency towards his opponents. She was also quite tolerant of his numerous infidelities. Livia appears to have been loyal to Augustus seeking the pleasures of power rather than those of the flesh. Livia, however, comes to us through history with a reputation of a secretive and cunning woman. 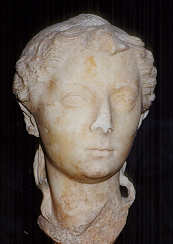 Livia was suspected of murder and intrigue in pursuit of her obsession of establishing a “Claudian” dynasty. She was accused by historians of procuring the deaths of Marcellus, Gaius and Lucius in order to secure the position of her own son, Tiberius, as heir to the newly found throne. The most shocking accusation against Livia focuses upon the death of Augustus himself. In the last few months before he died, Augustus is believed to have suspected the invisible hand of Livia in securing the path to the throne. Augustus made a secret visit to Planasia where his last surviving grandson, Agrippa Postumus had been sent into exile by Augustus years before. Livia may have suspected that Augustus was about to be reinstated Agrippa Postumus as a rival to Tiberius or perhaps the preferred heir to the empire. To prevent any such occurrence, Livia is said to have . 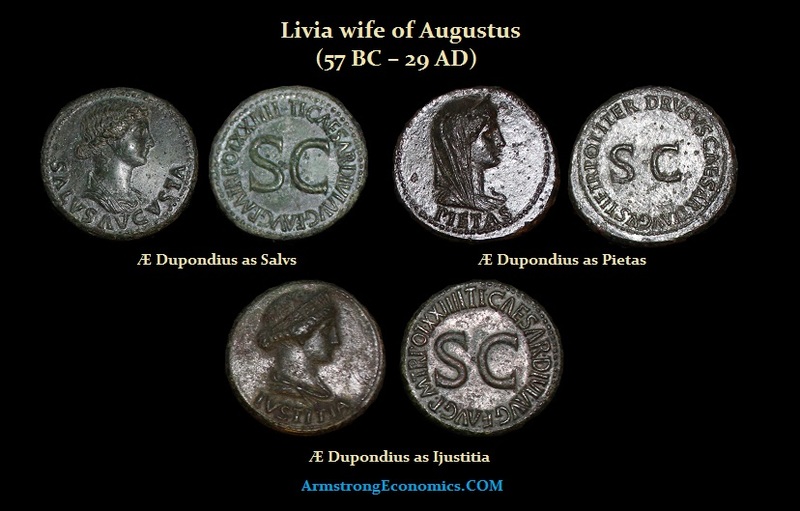 . .
Livia survived her husband Augustus by some 15 years. Her political influence increased considerably under her son’s rule and her bust was set up in the Temple of Alexandria. She was given the title of Julia Augusta and possessed equal authority with that of Tiberius. It is likely that Livia was instrumental in ordering the death of Agrippa Postumus and she clearly engaged in a fierce feud with the wife of Germanicus, Agrippina. Perhaps to counter her growing reputation for ruthlessness, Livia strongly protectedCaligula, the last surviving son of Germanicus, who surely would have been murdered by the ambitious Prefect of the Praetorian Guard – Sejanus. She also saved many senators during this same reign of terror organized by Sejanus under the name of Tiberius. Furthermore, she did much to benefit the children of Rome and helped Roman women with the dowries. Livia died in 29 AD. Upon her death, the Senate of Rome bestowed upon her all possible honors including ordering the construction of an arch. Tiberius vetoed that order claiming that he himself wanted to construct such a monument, but never did. Tiberius, still very resentful of his mother, also refused to deify her. It was not until Claudius became Emperor when Livia was finally defied in 42 AD. She was of course buried in Augustus’ mausoleum. 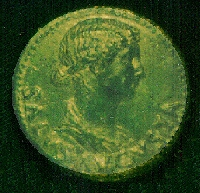 At the time that Livia served as Empress of Rome, tradition had not yet developed where the portrait of a woman would appear on the coinage. Consequently, the coinage with Latin legends displays the portrait of Livia as a god, similar in fashion as Pompey’s likeness was applied to the portrait of the Roman god Janus on the bronze As issues during the Civil War. Portrait coinage of Livia during her lifetime were minted within the provinces typically with legends in Greek.